Can you make skins for Psylocke? Requests are currently closed. Now that I’m in college, I have far less time to work on skins, so I’m sticking to personal projects. I may reopen requests in the future, but for now I just don’t have the time. While I'm finishing up Cyclops' booster, I'm going to be slowly updating some skins. Bishop's section was just updated. All I did was rearrange the skins in chronological order. I also added a new readme file for each skin, which includes hex editing information. I have also changed my usage policies. You no longer need to ask for my permission to use my content, as long as you credit me. I changed this in the (unlikely) event that I ever stop being active on here. Just a head's up that I'm still here and active. I'm working on updating all of Colossus's content. Look for new skins, as well as conversation HUDs and floating HUD heads, in the coming days. I was wondering is there a way to hide celshades on astonishing cyclops? If the code to hide the cel shade doesn't work, then there's no way to hide it. Please post your questions in the technical problems thread next time. Ladies and gentlemen, to kick off Colossus Weekend (where I'll be posting Colossus content all weekend), I've finally gotten around to the long-promised Colossus skin update! I've updated every single skin to make sure that the armor color matches on all of them, that there aren't any missing soles, etc. 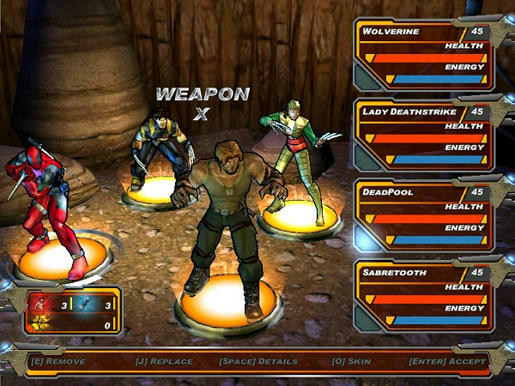 I've also added 3 new skins: Retro 2, Space Suit Fix, and Ultimate X-Men Legends Fix. Lastly, I've updated the organization system to my new method and updated the usage policy for all of my Colossus skins. The Unarmored skins have gotten a small face lift as well, as well as a reorganized listing and the same new usage policies. Check them out here, and look forward to more Colossus content! All of the content for Piotr looks fabulous! You give him so much deserved love! Wow! 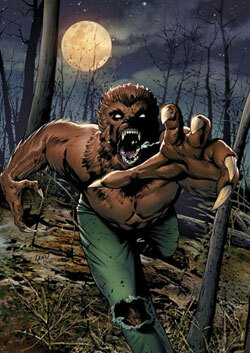 You rock on ps2 skinning! 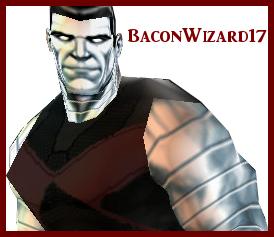 I forgot to add Colossus' Dark skin, so I fixed it up by recoloring the shoulder logo and pasting it onto the XML2 model, creating an unarmored version, and then creating Conversation and UI HUDs for both. 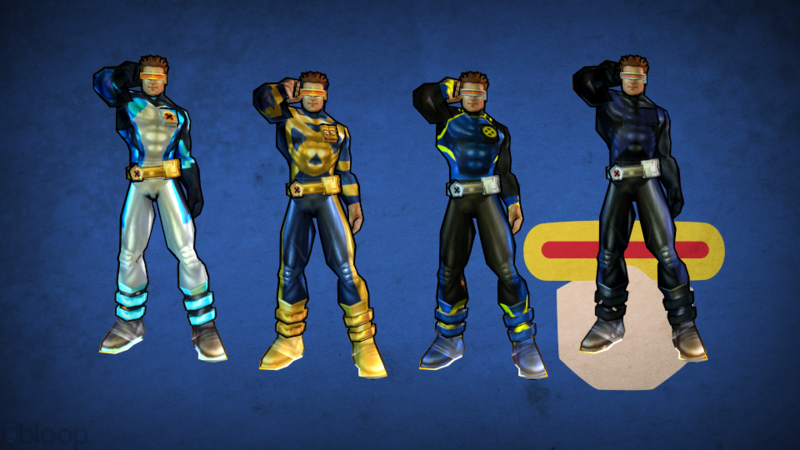 Since the time-displaced younger Cyclops is his own character, I figured he should get his own skin section. One day he'll get his own mod too. The wallpaper used for this background is property of its respective creator. Cyclops has also been updated. He has 3 new skins: Dark Fix, Space Suit Fix, and Winter Fix. I also fixed a few other skins, moved some skins around for the new organizational system, and added my new usage policy. Be on the lookout for HUD Heads and Converstation HUDs for both versions of Cyclops, as well as my finished Cyclops XML2 booster, in the near future! Can you do x-men evolution cyclops?